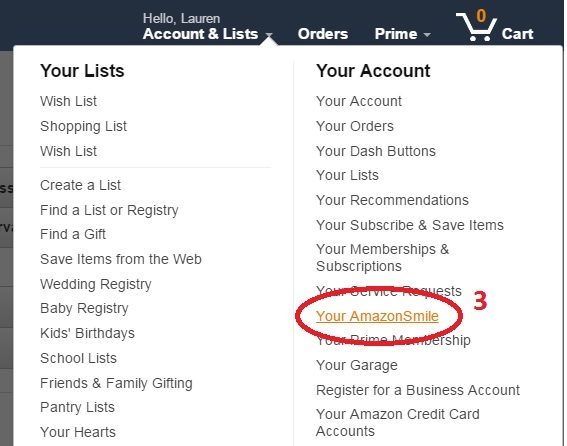 Type in or click here: smile.amazon.com to get to the AmazonSmile website. Sign in to your Amazon account, or create an account. 4. Then you will be asked to choose a charity. Type in Legal Aid Society of Cincinnati and click Search. 5. Then you will see Legal Aid Society of Cincinnati and click select. 6. 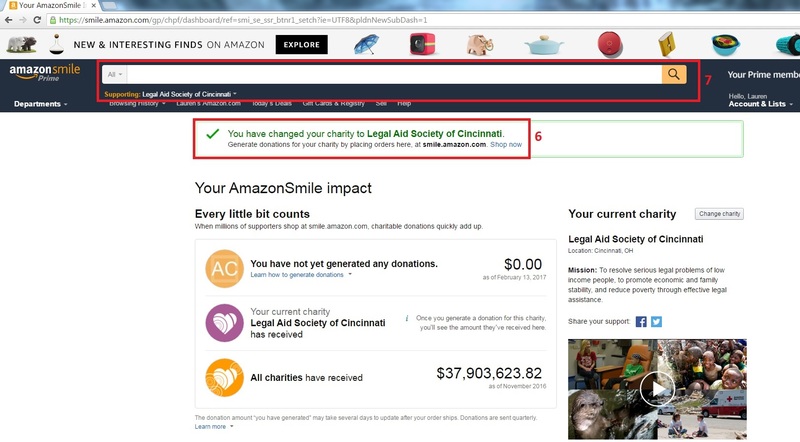 Now, you have successfully connected your AmazonSmile account to Legal Aid Society. 7. You may start shopping on Amazon to benefit Legal Aid – at no cost to you!